During the early days of the labour movement and the growth of industrial Europe, it was not only the right-wing view that Jews were grasping trades-people to be looked down upon which fuelled anti-semitism. In the beginning of the 20th century, Jews were identified with banking and finance and epitomised the Great Enemy in the class struggle against capitalists. A strong strain of anti-semitism was nurtured within the hard-left as being an integral part of the class-war. The hard-left (the loony left) core at the heart of Jeremy Corbyn’s Labour party still believe that capitalism is the religion of the Jews and they are all fundamentally and ideologically anti-semitic. That group traces its history of Jew-hating to the rise of capitalism and long before the creation of Israel. After the First World War, the anti-semitism that was part of the class-war became associated also with a racial opposition to Jews. The hard-left version of UK anti-semitism thus shares the same roots of Jew-hating as that which fired up the National Socialists in Germany and which was exploited by Hitler. After the Holocaust and WW 2, anti-semitism was politically incorrect everywhere. The collective European guilt allowed – and encouraged – the robbing of the Palestinians and the creation of Israel. It was only 2 generations later – and since the 1980s – that the new strain of anti-Israel, pro-Palestine anti-semitism could grow. This strain of the disease is automatically carried by any Muslim who supports Palestine or Palestinians. In recent times the hard-core, loony left in the UK have found it convenient to cloak their own anti-semitism, which originates from class-war roots, under the guise of being pro-Palestine and in support of all things Palestinian. Nowadays the UK Labour party contains many Muslim (mainly of Asian origin) members. A large section of these newer members (though not all) have little knowledge of the rise of the labour movement and the identification of all Jews with the Great Enemy – Capitalism. These members trace their antisemitism to their support of Palestine and the consequent opposition to anything Israeli (including the Jewish population of Israel). They are engaged in a religious war – not a class war. The UK Labour party contains many anti-semites of these two strains; a newer religious strain and a classic class-war strain which hides under the religious strain. Jeremy Corbyn is trying to revive the class-war. That also provides an environment for the class-war based strain of anti-semitism to prosper. It still has to be hidden under the cloak of being pro-Palestinian. But that, in turn, allows the religious strain of the disease to grow. So when the UK Labour party MP, Naz Shah (of Pakistani origin and a somewhat lurid background), expressed her anti-semitic views she represented the new religious strain. She was suspended from the party for that. But she was suspended by a very reluctant Jeremy Corbyn. 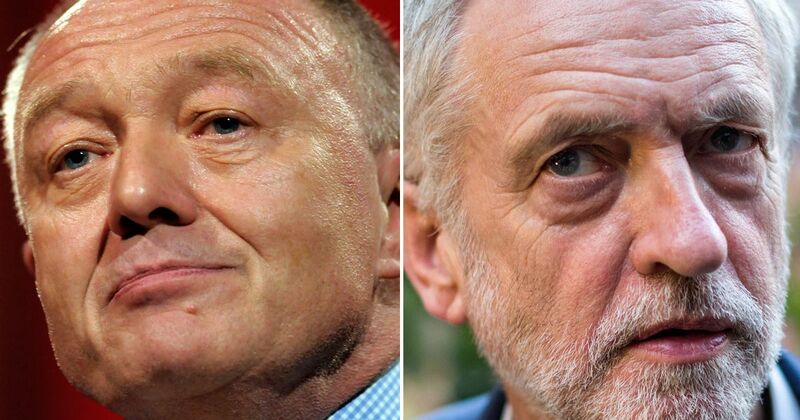 But then Ken Livingstone (“Red Ken”, “Loony Ken”) came out in her support and Corbyn was forced to suspend him as well. He actually suffers from the class-war strain of the anti-semitism disease, though he too conveniently hides under the pro-Palestine version of the disease. Now Jeremy Corbyn himself is a closet anti-semite of the class-war kind. Before he became leader of the party he came close to coming out of the closet when he supported radical and even extremist proponents of the Palestinian cause. Now, as leader, he cannot afford to be so politically incorrect. Nevertheless he could not just suspend his long-time friend and class-warrior, Ken Livingstone, for saying what he himself believed. To try and create a balance he got the chief whip to give the MP who publicly confronted Ken Livingstone a real dressing down. Corbyn did not do it himself of course. But the message was clear. So when Jeremy Corbyn says that the Labour party “does not support any form of anti-semitism”, he means except when it is the class-war kind and it is kept hidden under the guise of something else. This entry was posted on April 29, 2016 at 6:51 am and is filed under Behaviour, Politics, UK. You can follow any responses to this entry through the RSS 2.0 feed. Both comments and pings are currently closed.